I knew it was an old homestead. That's all I needed to know. There was a fall festival going on at the 17 Mile House Farm Park and I was going to go even if it meant dragging the rest of the family with me. Luckily, I didn't have to drag anyone. They all wanted to come with me. The 17 Mile House has a long and significant history. When the 1859-1860 gold rush resulted in large-scale settlement of the state, a series of inns emerged along Cherry Creek to accommodate travelers and freighters. These 'mile houses' were located every 2-3 miles along the Cherokee/Smoky Hill wagon trails from Kansas, all named based on their distance to the intersection of Colfax and Broadway. Upon arrival, travelers could get a meal, spend the night, rest their animals and have minor repairs made to their coaches or wagons. Out of the original six mile houses, only 17 Mile House and 4 Mile House exist in their entirety today. With arrival of the railroad in 1882, pioneer traffic along the wagon trails ended, and so did the need for mile houses. But the name stuck. For over 100 years, hard-working Coloradans lived on the land at 17 Mile House. For the Fall Festival, all sorts of activities were set up. They had a pumpkin patch, hay rides, a petting farm, food, crafts and exhibits. Of course, I just wanted to look around and see how things were "put together" back then. The "Pickles" got a lesson in gold panning from the local non-profit group "Gold Prospectors Of The Rockies". We watched a blacksmith work his magic. The "Pickles" shook cream in jars until it turned into butter. We all liked the cow. She seemed gentle and sweet. The "Pickles" kept giving her more and more hay and she kept right on eating it. I was worried with all the children feeding her, she would eat too much. As the highlight of the day, the "Pickles" and I got to milk her! It was a lot easier than I thought it would be. The Boy kept exclaiming on the way home "I milked a cow!" For directions as well as tour dates and times, please visit the Arapahoe County website. 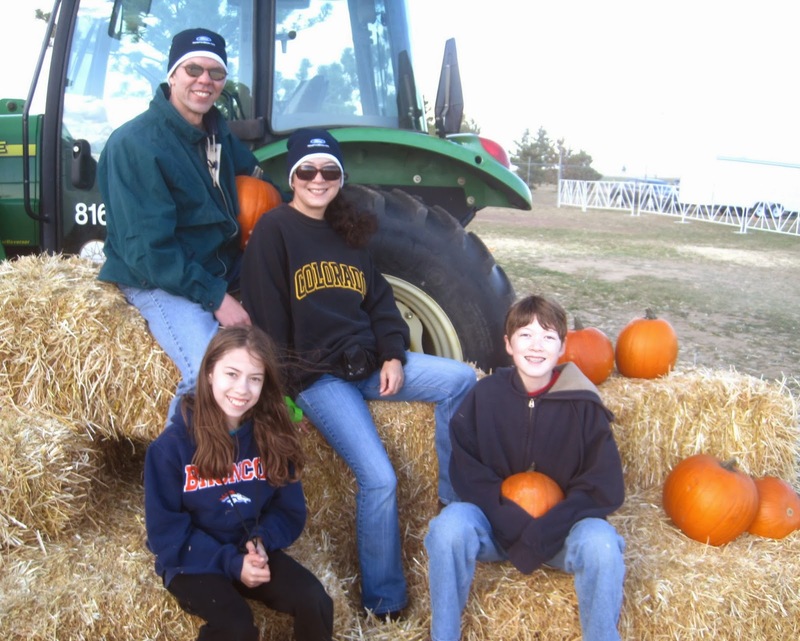 We hadn't been to the Punkin Chunkin since 2011 when a cold, wet snow blasted us and kept us indoors for most of the "chunkin" portion of the event. The weather looked like it was going to be a little nicer this year so we decided to go enjoy the festivities. As soon as we got there, we realized the event had grown quite a bit in just the last 2 years. Cars were everywhere and we had to park quite a distance from the actual event, but it wasn't long before we were watching pumpkins fly. If you plan to get a pumpkin here, get one early. There were only a handful left at the end of the day. 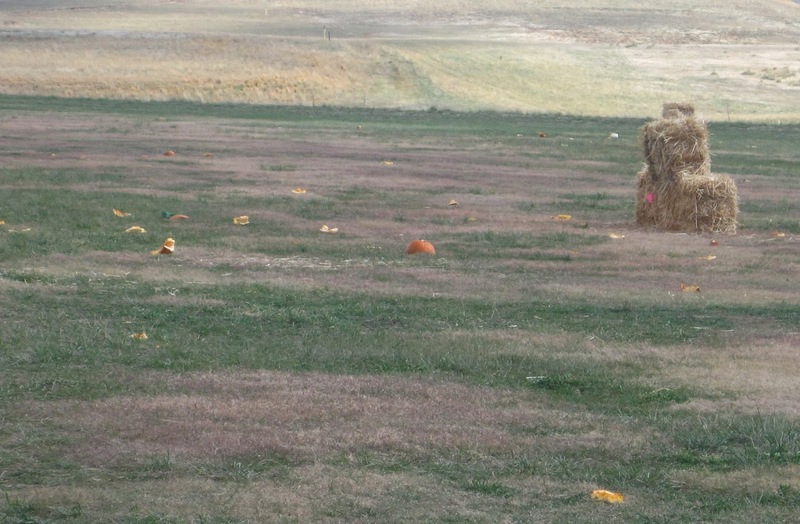 Other than Punkin Chunkin teams tossing pumpkins around, there were exhibits, games and activities. The "Pickles" wanted to test out the zipline. The Plains Conservation Center had a booth set up where the "Pickles" did puzzles and played with puppets and huge animal costumes. This year's Punkin Chunkin' was much more pleasant than the one we previously went to (I'm sure the weather had a lot to do with it) and once again, we would definitely recommend it! UPDATE: They had a contest set up. We signed up hoping we'd get a Home Depot gift card. We were plagued for months after by phone calls from people saying we had "won a free vacation" that wasn't really free. We recommend not entering that contest.